Uprising Adventure Guides offers a complete outdoor instruction curriculum. Our Southern California courses are offered exclusively. We offer year round courses for individuals, groups, families & corporate events. Private guiding is also offered at anytime, please call us for details. Enjoy, and don’t hesitate to call if you have any questions. We will customize your Uprising Adventure to your level, from brand new beginner, to the very advanced climber. Book a half, full, or multiple days of climbing. You will enjoy your choice. We promise to make your Uprising Adventure Guides experience one you will remember for a lifetime. 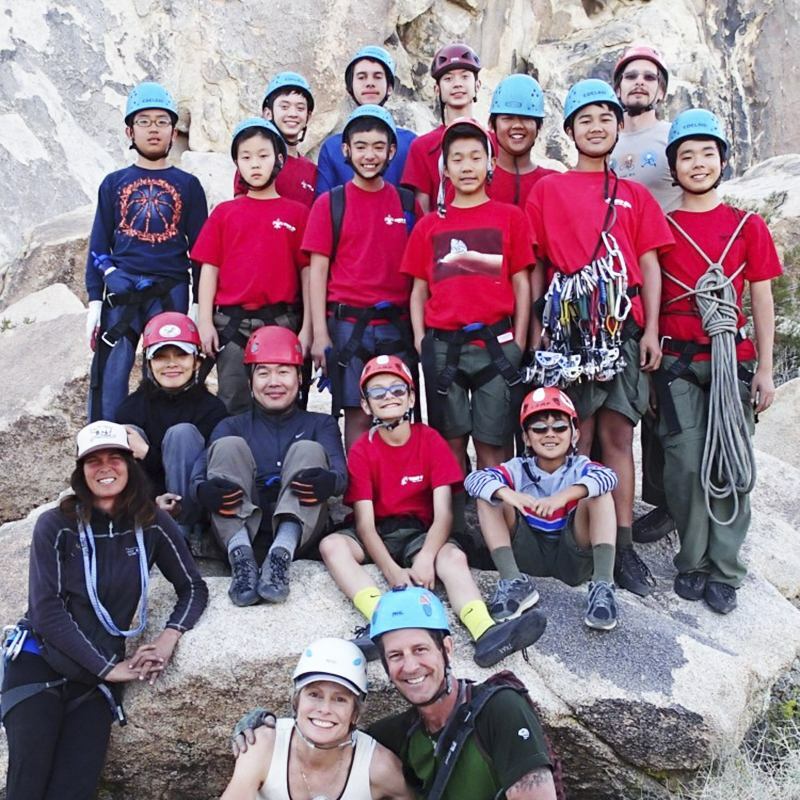 Uprising Adventure Guides is the #1 guiding company offering Boy and Girl Scouts of America and YMCA Joshua Tree climbing merit badges. Team Building and Rock Climbing for corporate events and workshops. Work together as a team to establish trust, communication, camaraderie, and problem solving skills. Contact us today to learn more or to book your next event with us. 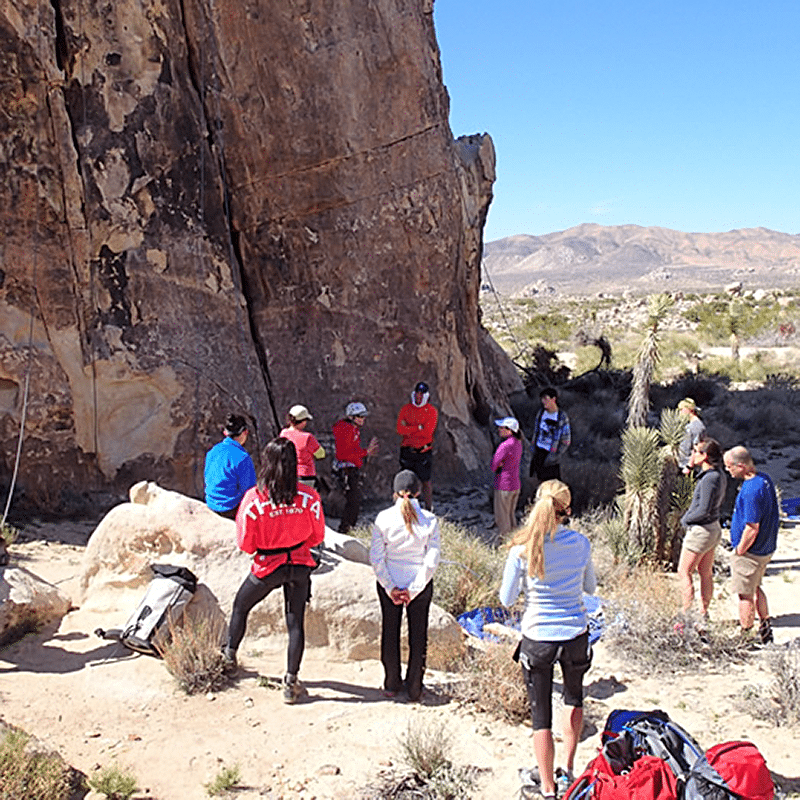 Uprising specializes in programs specifically designed for women Joshua Tree climbing. There’s something special about women supporting each other, especially while in a climbing area or rock climbing school. We have amazing women guides who are an example of the strength and beauty that comes from being outdoors hiking and climbing for a long time, as veteran rock climbers. We offer a guide service, as well as yoga and rock climbing retreats with everything from organic food to spiritual exploration and the application of rock climbing as a metaphor for life. Joshua Tree National Park is home to a vast amount of desert wildlife, and there may be a hidden valley somewhere. It is open year-round and hosts a variety of activities for any participants; hiking, bouldering, rock climbing and nature walks to name a few. “It helps people that come from a lot of different places who don’t really know what to do in the park the opportunity to meet new people and have a great time,” said Pfc. Michael Trout, student, Marine Corps Communication-Electronics School. Uprising Adventure Guides was founded in 1999 and their reach spans many organizations and people all over the country and world. Uprising Adventure Guides gives people the opportunity to explore their surroundings and experience Joshua Tree National Park. Everything is on offer, whether it is simply rock climbing joshua tree areas or finding out that the famed Hall of Horrors are not terrifying, but actually a popular area in the high desert and frequented by many people. We were fortunate to be able to work with people across all walks of life. We offer the opportunity for people to come out to Joshua Tree National Park and do something that can be very [fun]. Our support group and rock climbing guide service are so strong, even if you’re frightened of heights, it is just amazing to be able to come give it a try. You can also experience the joys of the outdoors on one of the many camping grounds. All Uprising Adventure Guides are American Mountain Guide Association(AMGA) trained and/or certified. The AMGA is the GOLD STANDARD in climbing guide training and certification. Always chose an AMGA guide for the safest and highest quality of climbing instruction. As guides we work in many other National Parks and Internationally. 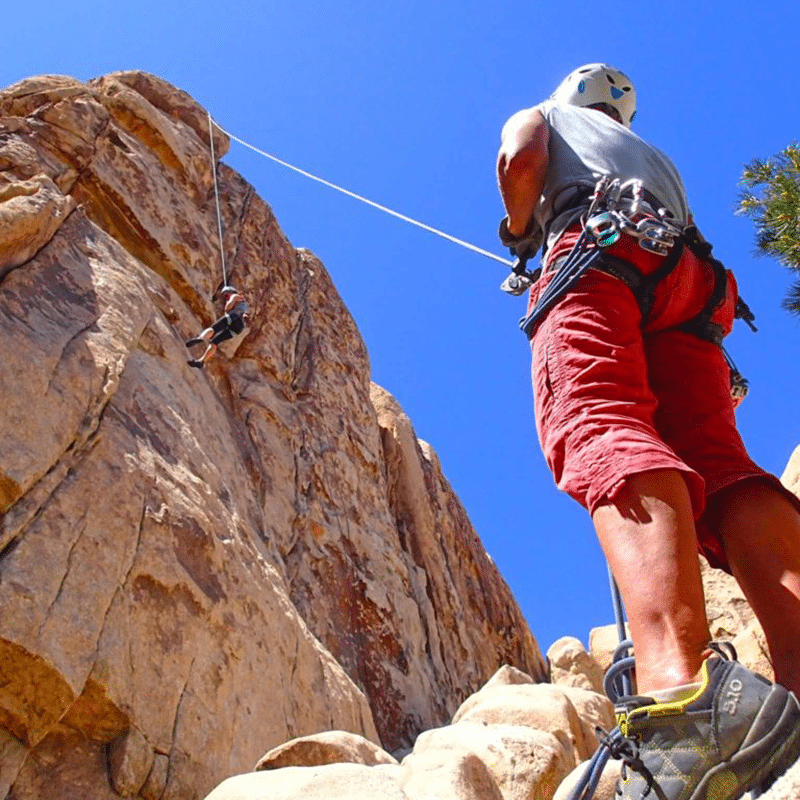 We bring with us the experience that is beyond the Joshua Tree terrain and climbing routes. This makes us the very best at modifying any guiding session to your needs. Whether it be learning climb for the first time, learning how to set an anchor, follow a leader or learn to lead yourself. As guides, we have chosen this career because we love what we do. It is a pleasure to introduce and expand our clients skills and lives. Climbing Joshua Tree routes is not just a physical exercise, it is an opportunity to combine the mind, body and spirit in strengthening our overall existence while climbing and in our daily lives. We all practice yoga and meditation outside of our climbing practice so that we can bring a powerful exercise to our clients. We have seen vast improvement in not only our climbing skills but those of our clients through this mind, body and spirit practice. Joshua Tree National Park in the town of Joshua is one of the few parks that allow more than 2 permits for rock climbing companies. As a result there have been many new companies arriving on the scene. Remember, experience is key when it comes to safe rock climbing instruction. Choose a guide with tremendous experience and you will be rewarded with meeting and climbing with someone you may learn to call a friend and mentor. 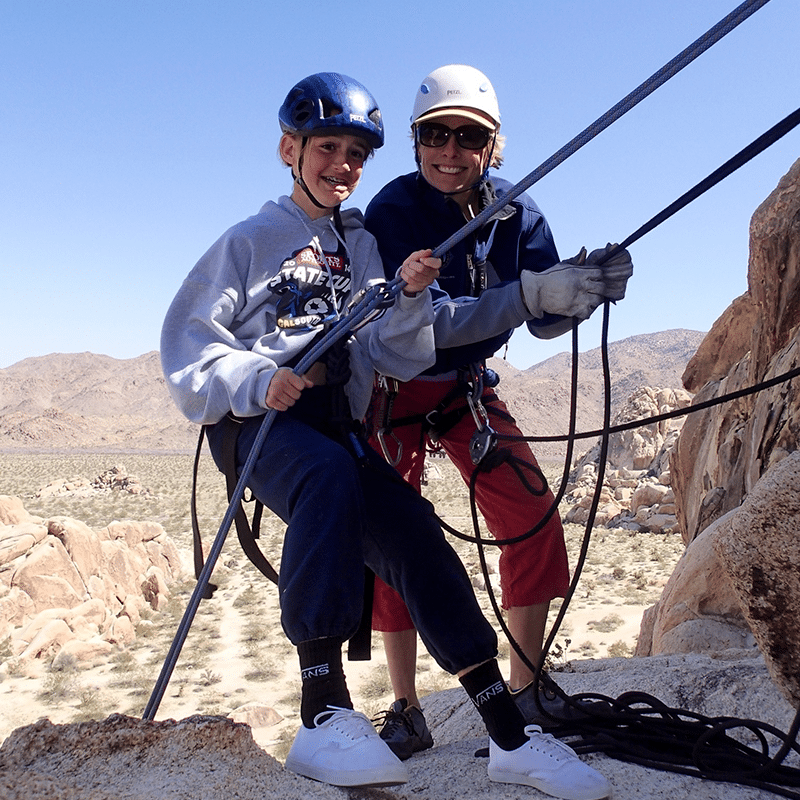 Safety is always our number one concern and showing them the very best experience in Joshua Tree National Park is a close second. You will absolutely love the time you spend with Uprising Adventure Guides. 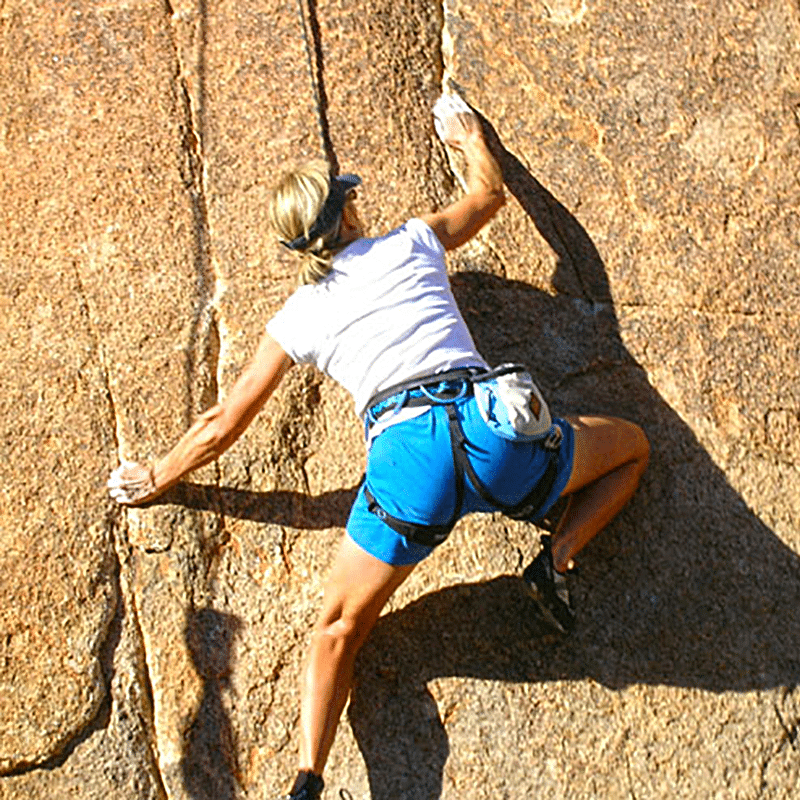 SCHEDULE YOUR ROCK CLIMBING ADVENTURE TODAY! Call 1-888-254-6266, Get Social With Us, or Visit Our Contact Page. Photos from Uprising Adventure Guides's post YMCA fun! Excellent day climbing with Marines. So much fun. These gals rock. Super fun day at Split Rock. Uprising Adventure Guides added 3 new photos. Photos from Uprising Adventure Guides's post Uprising Adventure Guides added 2 new photos. 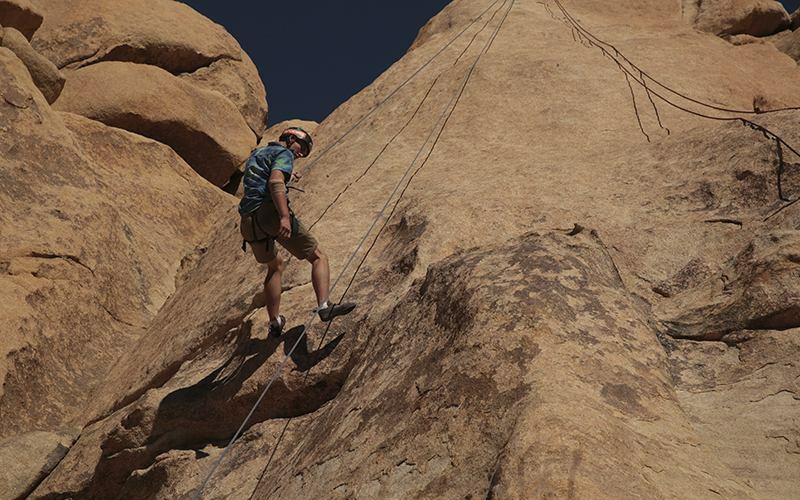 Photos from Uprising Adventure Guides's post First timers tearing it up on the rock. Awesome Carissa! First day climbing. Got to the top, repelled and belayed. Hiking Lower Covington Flats with my dear friend Liz and awesome husband. First “Try Climbing” for our Marines. Great folks and lots of fun. Our first “Try Climbing” with the marines. They did so well. Great day! Sunday “Try Climbing” with US Marines from 29 Palms. We had an amazing day! 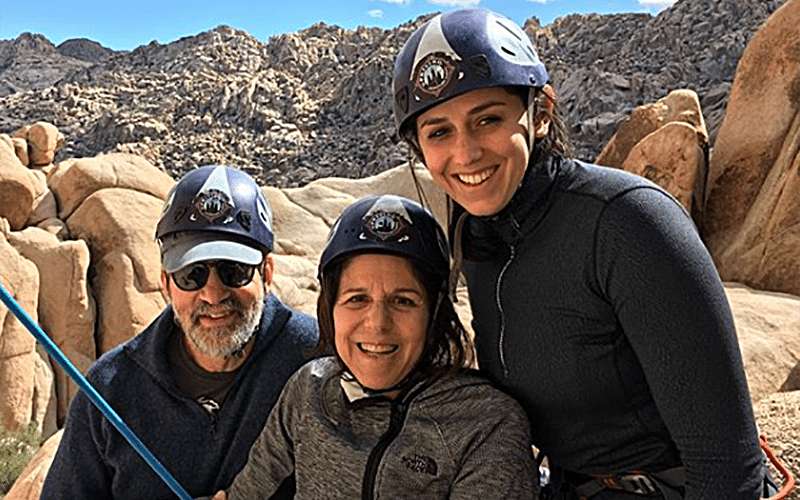 Sue Uprising Adventure Guides Carrie Dagher and Andy Gorrill were our climbers for this Visit California add. Uprising Adventure Guides shared a post. Photos from Uprising Adventure Guides's post Did you know we do merit badges? Uprising Adventure Guides is the #1 guiding company offering Boy and Girl Scouts of America and YMCA Joshua Tree climbing merit badges. Message us and schedule your outing today! 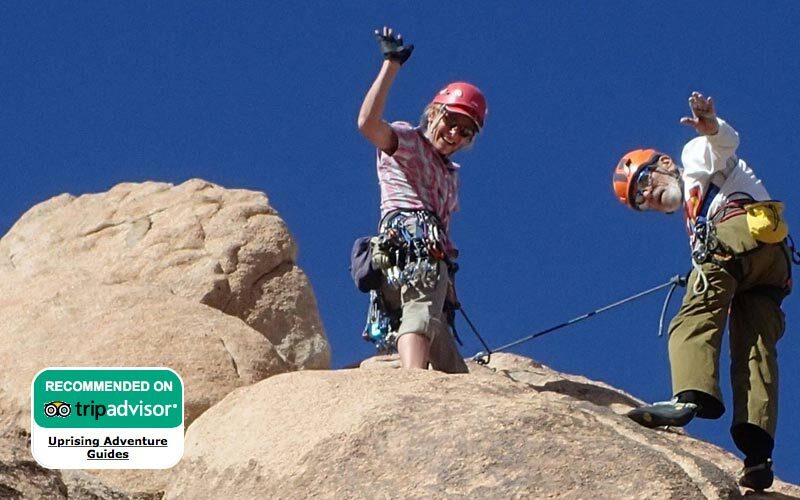 Joshua Tree Climbing | Rock Climbing Experts | Bouldering Tours & Guides Our page has reached over 100 likes! We'd like to thank our loyal followers by offering you a sweet little deal. The first ten people to like, share, and then comment on this post will receive a $10 off coupon!!! Parker Bobcat Our awesome Yurt is available for nightly rentals. It’s the perfect place to enjoy your trip to climb in Joshua Tree National Park. Love climbing with John and Rachel! Beautiful day spent climbing with Jane! We've been friends for so long and she got to experience climbing at Joshua Tree for the first time yesterday!